Are you thinking about having your child try out for a new team? The tryout actually begins with your first contact — the initial email, phone call, or face-to-face meeting. How you handle this is critical. I’m currently going through this process as I start building my 11u Spiders roster for the 2019 season. I can tell you first hand that it helps tremendously when a parent is prepared and provides the information that I want without asking. There are a few things the prospective coach will need to know. It helps if you provide these things without him even asking. I want to know whether your child is a potential fit. Basic things like age and city will help me know whether I should shut it down immediately. Is your child too old or too young for my team? Do you live so far away it would never work? If I know your child’s name and current team, I can usually do a great deal of research without a tryout. Most teams use Gamechanger, and I can look at how you’ve been used, what positions you’re playing, where you’re hitting in the lineup, and how you’re performing. If you play for a team that is at a lower level than mine, I’ll want to be sure that you’re a top performer on your current team. Positions played and spot in lineup help, but they aren’t everything since I understand that your coach may misuse you. But stats — while they can mislead in small sample sizes — don’t lie over the long haul. Your future high school is helpful to know even for the younger ages. If possible, it’s always nice to have multiple players who plan to play together as they get older. Not required, but a nice-to-know. Sometimes, Gamechanger can tell me the story. But it’s not always there. Give me a breakdown of the positions that your child plays, what he likes playing, and a general overview of strengths and weaknesses. This may sound weird because information is power, but don’t provide stats unless the coach asks for them. If you’re a stats hawk, it’s a red flag that you could be a problem. What do I mean? It means there’s always a parent who is obsessed with his kid’s stats. They’re the ones bugging the scorekeeper about earned and unearned runs when their kid’s on the mound. They complain about where their kid is hitting because of his batting average. They point to the number of errors when wondering why Jimmy plays more innings at shortstop. As a coach, I love stats. But I also realize that you can use stats to tell the story you want to tell. Your kid may be hitting .450, but what’s the context? What’s the team average? What’s the sample size? How dependable is the scorekeeper? Are errors recorded? How strong was the competition? I’ve received emails from parents of prospective players and in their very first correspondence they list off all of the kid’s stats. It may just be me, but I see that as a sign of potential trouble. Your kid is an amazing fielder. He is the best catcher on the team. He has the best arm in the state. Just stop. These are all opinions. You are biased. Using glowing descriptions of your child isn’t helpful. Instead, they make me concerned that you may have an unrealistic perception of your child that could create problems. That doesn’t mean you can’t describe your child’s play and ability. Just avoid the adjectives. Focus on what he’s done, strengths, weaknesses, and what he’s working on. It’s hard, but do your best to be objective. 6. Why Are You Looking for a New Team? As a coach, I struggle with this because I don’t like secrets. I actually appreciate when a parent tells me too much and gives me the warning sign that I need. I once had a parent who told me that he had a fight with the coach. He was kicked out of the dugout as an assistant. He was told to never come back. Why, then, would I want any part of you and your kid? If you tell me that you’re leaving due to Daddy Ball, I wince. Granted, it may have been a problem, but it may also be that you struggle to objectively view a situation. Are you going to accuse me of Daddy Ball, too? I feel like a lawyer here. There’s a matter of what I want as a coach and what I recommend you do as a parent. Be as diplomatic as possible. Having harsh feelings about a current situation could be a sign that you will always be unhappy. Focus more on what you’re looking to provide for your child. What has attracted you to this new team and coach? When you say, “My child will only play for a majors team,” it may not send the message that you want. The truth is, many of the parents who have told me this over the years have kids playing for majors-level teams but don’t truly have majors-level talent. Some parents care more about labels than finding the best fit for their child’s abilities. This year’s 14u Spiders are 39-7 as I write this. We have yet to lose to a AAA Colorado team. By definition, you could certainly call us a majors team. But if you ask me, I won’t use that label. I won’t use any label. We’re a high-level team that can compete with anyone. We’ve had a lot of success. Beyond that, labels mean little. There are teams that belong in AAA that participate in majors tournaments for the label only. And they get their butts kicked. If your child truly has majors-level ability, it will be obvious — both in stats and at a tryout. If you seem too hung up on that label, it sends up a red flag. 8. What is Your Child’s Ideal Scenario? What is it exactly that you’re looking for? Do you know? Sometimes, parents are just unhappy with a current situation. Yet, they don’t know what situation would actually make them or their child happy. If that’s the case, expect to be perpetually unhappy no matter where you go. What is the coaching style that your child responds to best? What type of coach gives him trouble? Is he wanting more reps than the current situation? Does he want to focus on one or two positions? What are they? Do you care whether the team has a roster of 11 or 12-plus? Would it bother you if a coach bats only nine batters on Sunday and your child was one of the players sitting? How much traveling would you like to do? Is there somewhere in particular (Cooperstown) that you want to travel to? Do you want a short season or a team that practices and plays year-around? Be prepared to know how you feel about these things and ask the coach the related questions. This will help you and the coach figure out from the beginning whether there may be a fit. If you read the above eight points, it looks like your intro email or conversation with a prospective coach could be long. But don’t look at it that way. In addition to the bio details, pick out a few key points of focus and go from there. Anything else you’d add to this? For coaches, what else do you want to know about a player? Is Your Current Team a Good Fit? Every year, you should evaluate whether your current team is a good fit. Oftentimes, it may be obvious that it’s time to move on. Others, the signs may be there, but you aren’t willing to accept them. Below is a long list of questions you should ask yourself that can help you evaluate whether your current team is a good fit. Your answer to an individual question shouldn’t necessarily be reason enough for making the change. Instead, it’s the collective answers and trends that may lead you down that path. Where do you hit in the order? Where you hit in the order says a lot about the level of confidence the coach has in you. Don’t get me wrong, someone has to hit last, and this often isn’t an easy decision for a coach. But if you are consistently hitting last, it may be a sign that there’s a gap between you and the top of the lineup. Do you hit on Sundays? I’d say that this is more important than simply where you hit in the order. The 14u Spiders, for example, have a talented lineup from top to bottom. Someone has to hit last, and the truth is that our bottom of the order is talented and has a specific role. I value them all. But if your coach isn’t hitting the entire lineup on Sundays and you regularly sit instead, that could be a signal — consciously or not — from the coach. Do you agree with either of these decisions? If you disagree with how you are being used in the lineup or on Sundays, it only compounds the frustration. It’s one thing if you are hitting last and a reasonable argument can be made for it. It’s another if you’re otherwise one of the team’s top hitters — or at least you perceive yourself as that. Sometimes perception isn’t reality and you need to be honest with yourself. But if there is a huge disconnect here and you feel you’re being unfairly treated in terms of hitting opportunities, that could be a big problem. Where do you play in the field? At the lowest of levels, coaches tend to bury their weakest defenders in right field. That’s the reputation. But we need to be careful here. The older you get and the higher the level you play, this isn’t necessarily the case. That said, a coach who regularly puts you at shortstop, catcher, or centerfield generally does as a sign of confidence. Particularly if you are the primary player there. That doesn’t mean that the coach doesn’t have confidence in you if you play other positions. Just one of many things to consider. Do you want to play more than you are at a certain position? To piggyback off of the last question, maybe you play primarily in the outfield, but you’d like to play more second base or third base. Does the coach know this? If so and you still don’t get those opportunities, why? How often do you sit on the bench in a game on average? It’s difficult to bench players who are skilled at multiple positions. Even if you aren’t a weak link, someone has to sit. So if it’s easy to find a replacement of equal or greater value, you’re likely to sit more often. Do you sit the bench more often in important games? This is another way that the coach can send a message about confidence level in your defensive skills. If you sit more than others in the most important games, it’s a sign that you’re one of the weaker players defensively. Once again, someone has to be a weaker defensive player. That, in itself, is not a problem. The question is whether it’s a significant gap or if there are several other problems combined with this. Do you often sit the bench at important times? An important time would be the end of close games. This is a sign that the coach, wanting to maximize chances to win in crunch time, thinks that other players give the team a better chance to win. Are you okay with this? Does the coach treat you as the best player at a position? Do you get the most time on your team at a particular position? Are you the primary option? Or does it seem like the coach struggles to find a place to put you? How does the coach treat you? Does he appear to like you? Does he treat you differently than others? Be objective about this. Does he seem to appreciate having you on the team? Do you agree with how the coach treats the players? How does he discipline players? Is he too harsh? Does he not do a good job of controlling the team? Does the coach set a good example? Is he a good leader? Does he regularly get ejected from games? Does he get into fights with other coaches? Does he embarrass you? Does the coach properly evaluate talent? Parents are often a bad judge of this, particularly when considering how the coach treats their own child. But try to be as objective as possible. Does the coach seem to put players into position to succeed? Does he appear to have a good idea of who should play where, and who his best players are? A disagreement here doesn’t necessarily mean that the coach is wrong. But it could be a sign of a rift requiring a change. Does the coach provide good instruction? Does the coach know what he’s doing? Does he do a good job of explaining what you should do and why? Do you have confidence in the instruction that you’ve been given? Do the players get along? Ultimately, you may value this more than any other factor. Some kids just want to play with their friends, and they don’t care about playing time, the coach, or anything else. On the flip side, a negative relationship with teammates can make it a terrible experience. Are the players like a family? Do they treat each other respectfully? Do you have close friends on the team? Are other players good influences on you? Good friends or not, do your teammates behave in ways that make you proud to be on their team? Are they respectful of umpires, coaches, teammates and opposing teams? Or do they behave in ways that embarrass you? Do the families get along? This may not seem like an important factor to the players, but it can be for the parents. Do parents get along? Do they sit close to one another at games or separate themselves? Do they do things outside of games? Do parents set a good example? Do parents treat the coaches well? Do they provide positive feedback to players during games? Do they make negative remarks to players who make a mistake? Do they argue with umpires? Do they generally behave poorly and set a bad example? Are you clearly the best player on your team? This is the other side of the spectrum. Someone has to be the strongest player and someone has to be the weakest. That alone is not a reason for concern. But if you are (objectively) head and shoulders above the rest of the team, it may be time to look for a greater challenge. Have you become a better player during the season? It’s not always easy to see this. It’s not just a matter of looking at stats because you have to account for changing field sizes and competition levels. But if you aren’t getting better, you may not be in the best situation. Simple enough, right? In the end, this may be the most important. Do you like playing for this coach? Do you like your teammates? Do you enjoy playing the game? Are you proud to be a member of this team? There are many factors that lead to a good or bad experience with a team, but asking yourself these questions is a good starting point for determining whether you’re in a good place or it’s time to move on. Any other questions you’d add? Let me know in the comments below! One overlooked coaching philosophy that significantly impacts team dynamics is roster size. Parents are often concerned about things like coaching style and competition level, but roster size often makes or breaks a season for young players. During the past three seasons, the Spiders have had 10 or 11 players on our roster. We’ve toyed with the idea of 12, but I have since decided that I will never go that high again for a youth team. I plan out the lineup for the entire game — who sits and who plays for each inning. This way, I know we’re covered at every position and I can be careful about how often players sit. I shuffle players around based on who is pitching and catching, and I also try to give players opportunities at multiple positions (important Sunday games may be different). It immediately gets a tad more complicated, but everyone gets to play a lot and it’s easy to manage. BENEFITS: 1. Playing time. Make no mistake, this is a big one. Particularly at younger ages, knowing that every player is guaranteed a high number of reps is attractive. Even if you have 10 players, that means that one player will sit per inning. In a six-inning game, that will usually mean six kids sit once or no one sits more than twice. As a dad, this one is very important to me. My youngest son was in a situation where he played for a high-level team for two seasons that had a roster of 12. At eight and nine years old, that also meant a juggling of playing time. But this year, his team has a roster of nine. Lots of guaranteed playing time, and he’s progressed more this season than any other as a result. 2. The lineup. With nine or 10, you’ll almost always hit the entire lineup, even on Sundays. As a result, the lineup will also turn over more often, leading to more plate appearances. DRAWBACKS: 1. Fielding a team. In the first season of the Spiders, we had 10 players. Luckily, they were 10 very committed players with minimal conflicts. As a result, we never needed guest players or struggled to field a team. But if you have a roster of nine or 10, it can create some uneasiness. Will you have enough players for this weekend’s tournament? What if someone gets sick? 2. Depth. This isn’t to say that you can’t build a small roster with depth, but it’s not easy. Do you have two capable players at each position? It can be more difficult to field a competitive team as a result. 3. Pitching. Particularly in the bigger tournaments, you may be looking to play more than five games. If you only have nine or 10 players, you may not have the pitching you need to get through it. As a result, that could mean fewer games and reps for your players. It’s absolutely imperative that everyone can pitch on a small roster. I find that this is a nice balance between the small roster (that has uncertainty) and 12-man roster (that can result in less playing time). Now it gets trickier. If you’re going to avoid sitting some players, others need to sit more often. But still, it’s reasonable and manageable. BENEFITS: 1. Stability. You get some cushion if a player or two are unavailable. Less need for guest players. 2. Playing time. Certainly, not as significant as with nine or 10 players, but playing time isn’t too difficult to manage with 11. It means that you need to have 12 players sit at some time during a six-inning game (two per inning). In a perfect world, everyone could sit once and one player would sit twice. But it’s reasonable that some players may sit three times in important games. 3. The lineup. A roster of 11 is about the limit of where you’ll expect a team to consistently bat the entire lineup. Any bigger, and it simply takes too long to get back to the top. I have batted the entire lineup every game — even championship games — for this year’s Spiders team. 4. Depth. If assembled correctly, a roster of 11 will have coverage at all positions. Even when sitting two players per inning, there is always a capable player at each spot in the field. DRAWBACKS: 1. Some uncertainty. While there’s some cushion here, there’s still the potential for conflicts, injuries, and sicknesses to create issues. 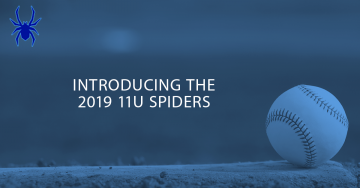 Our 14u Spiders have actually played many games this year with only nine (even a couple with eight), so this may also be due to age. The older they get, the more likely conflicts become. 2. Pitching. I wouldn’t consider this an issue in the typical tournament. We’ve had enough pitching to carry us to and through championship games this season. But it will be a challenge when we get to state tournaments that are three days long and result in more games. Some teams stack up on guest players who can pitch for this reason. We may be at a disadvantage at that point. Look, eventually these kids get to high school and all rosters will tend to be 14 or more. But in my opinion, I’d like them to get the reps they need before they get there. In this case, nearly everyone is sitting at least twice with some players sitting three times in a seven-inning game. But you can imagine that in a more important game, several players would be sitting three or four times to maximize the defense. And this assumes hitting the entire lineup. If you did, you can expect that most players would have no more than two plate appearances in a seven-inning game. And in a low scoring or shortened game, some will only hit once. And that’s assuming you’re hitting the entire lineup! BENEFITS: 1. Depth. If you have 12-plus players, you sure better have depth. Otherwise, you did a bad job of building a roster. 2. Pitching. Same as #1, you technically should have plenty of pitching with 12 or more players. But it’s entirely possible that this isn’t the case, too. 3. Competitiveness. I’ve seen bad teams with rosters of 13-plus, so this isn’t guaranteed. But many of the most competitive teams have large rosters and then field their best possible nine for important games. DRAWBACKS: 1. Playing time. Unless you’re one of the top four to six players on the team, be prepared to sit. And if you’re at the bottom, you’re going to sit a lot. 2. Lineup. These teams are much more likely to bat only nine or 10, which means multiple players will struggle to get reps at the plate. And if the team hits the entire lineup regularly, it could lead to all players having diminished at bats — particularly if the lineup isn’t particularly strong. 3. Instability. Here’s what I mean by this… When you have nine, 10, or 11 players, the players who are in the field might change very little from inning to inning. You’re making minor tweaks. 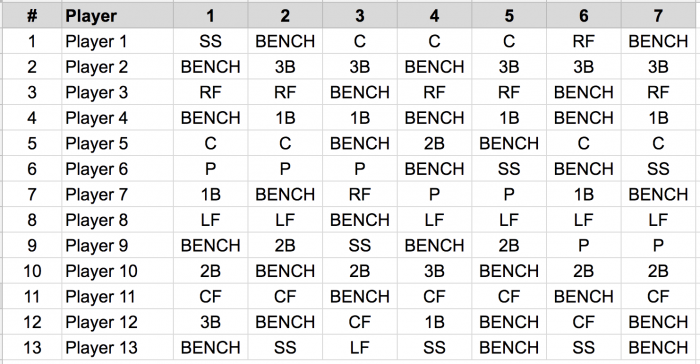 But with larger rosters, you’re benching three players with 12-player rosters and four players with 13 in each inning. That sets the stage for dramatic instability from inning to inning. And if not, that means that those getting benched will sit far more than those playing regularly. 4. Drama. Yeah, be prepared for drama when you deal with bigger rosters. It’s very difficult to make everyone happy. There are plenty of opinions and personal experiences baked into this. As you can tell, I prefer smaller rosters, as long as they are assembled well. It guarantees playing time, reps, and development for all. There are inherent weaknesses with small rosters, but I’ve found they are more likely to lead to happy teams and families. Big rosters can work, too. Just know what you’re getting yourself into. Know how many players the coach is planning to have and how that may impact your child. Don’t assume he will be one of the stars and won’t get the short end of playing time. You need to decide whether the inherent drawbacks associated with larger rosters will lead to the experience you want for your child. Everyone has their own personal preference when it comes to roster size, both from the coach and family perspective. What do you think? 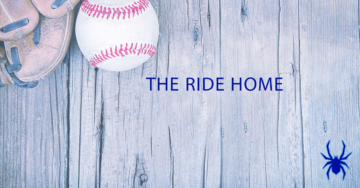 When joining a travel baseball team, you are expected to pay team fees that can cost as little as a few hundred to as much as several thousands of dollars. Most teams allow you to either pay these fees entirely up front or as part of a monthly or quarterly payment plan. These costs add up quickly. The higher your team fees, the more of these costs those fees likely include. The cheaper your fees, you may find that you’ll be paying for more out-of-pocket. As a dad and coach, my boys have participated on each end of the cost spectrum. They’ve played rec or Little League for $100-200 and tournament ball for close to $4,000. Of course, this only includes those set team fees. If my wife and I were to add up all other costs, it could get pretty ugly. But most of these extra costs are completely controllable and optional. Some other costs can’t be avoided, but you need to expect them based on the team you join. Hidden costs for a team that makes six out-of-state trips will typically be much higher than those for a team that stays local. If you’re traveling to a big tournament, you can guarantee there’s a shirt, sweatshirt, or other gear to commemorate the weekend. They typically display the name of the tournament on the front and all of the participating teams on the back. That gear also tends to be overpriced. And if your son’s team wins that tournament? Forget about it. You’re going to have to get that “champions” shirt. If you’re traveling to a major tournament, players may be exchanging pins. These cost more than you’d expect. Pins could be part of team fees. If not, it’s yet another cost. If you play all of your games and tournaments locally, you still need to consider the costs of gas and, in some cases, tolls. Is your team making several out-of-state trips that will require an airline booking? Depending on the season (watch out for holidays! ), this could be a couple hundred to much, much, more for a ticket. And you want the entire family to go? Multiply that cost. Before joining a team, make sure you completely understand the travel commitment. In all likelihood, your team fees won’t cover the travel. And if you make several trips — even long trips that can be made by car — these costs can’t be ignored. This goes hand-and-hand with air and ground. Unless you play all games micro-locally, hotel expense will be a factor. Even for trips an hour or two away, you’ll find yourself considering this expense when weighing whether to hit the road before 6am for an 8am game. The costs for a hotel room may be worth that extra hour or so of sleep. If your team is playing in a popular tournament, also expect hotels costs to be a bit ridiculous. Rooms can be hard to get, and hotels raise their prices. While this is certainly connected to travel, know that paying for meals won’t only occur for those hotel stays. A day of games may end at 6pm. Are you going to travel home and make a meal? Probably not. Instead, you shell out the extra money for dinner out. This also means the snacks and small lunches in between games. You’ll need to be prepared. Sometimes, team fees include things like socks and belts. But not always. In fact, sometimes you’re even expected to pay separately for the pants. It’s a small cost, but these costs add up. Your team fees may — or may not — also include things like jackets and sweatshirts. If not? Beware of that first teammate who buys one. Your son will then “need” one, too. 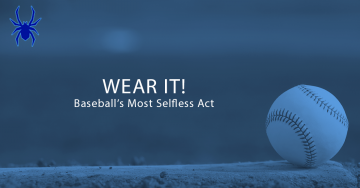 Even if team fees do include things like socks, belts, and pants, it’s common that you’re going to need extras that fall outside of team fees. Not only do kids run through socks and pants (holes, stains, outgrowing them, etc. ), but buying extras can also help the inevitable laundry rush during the summer. If you’re lucky, your son won’t lose his hat or jersey. If he does? A likely special order that will cost you. While team fees will cover equipment that is used by all players, there is some equipment you’ll need to cover on your own. Does your team have a bat bag for everyone? If not, you’ll need to buy one. You’ll need at least one bat and glove for the season, and they can last a couple of seasons. But depending on the level, you may need multiple bats (wood vs. metal, different drop rules). And if your son plays multiple positions, he may need a position-specific glove (first base, infield, outfield, catcher). Your son’s a catcher? Break out the checkbook. Lots of gear, and you’re going to need a bigger bag. Sometimes team fees cover shoes, but usually not. One more item to buy. Of course, you’ll also have options for all of this gear. You can spend $50 or $500 for a bat; $50 or $300-plus for a glove. Sure, the right gear does matter. But level of play and other costs should also influence what you buy. There’s no reason for a rec ball player to shell out $500 for a bat. 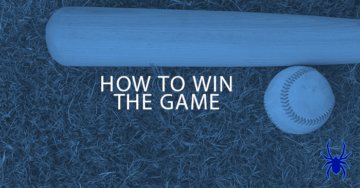 And if you’re already spending $4,000 for a team, you’ll probably want to get the most out of your bat (though that doesn’t always mean spending the most). End of the day, the best bat won’t help a kid without talent, and a talented kid will perform well with inferior equipment. But that equipment will still make a difference — if not life-changing. If your son is in high school and hopes to play at a high level in college and beyond, be prepared to participate in showcases and other camps. The primary objective of the showcase is to get your son seen by scouts. Camps are typically a weekend and can last anywhere from a couple of hours to all day each day. 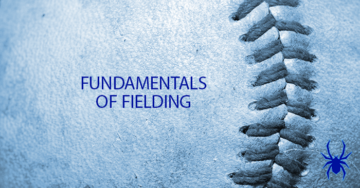 While they can cover general skills, they are often best when specialized for a single position or skill (like pitching, catching, hitting, or infield). Camp prices vary from under $100 to much more. I’m a dad and a coach. While I played and I will fiercely defend my knowledge of the game, I never played pro ball. And those who did can offer a very valuable perspective that I simply cannot. I’ve paid for both one-on-one and group training for my boys. But be aware: A single lesson or a couple of lessons will not be particularly helpful. To get the most out of this type of training, it should be a regular thing. My youngest is a pitcher, and I have him meet with a pitching coach every couple of weeks or so during the season to keep his mechanics sharp (to note: I was never a pitcher myself). Paying for an individual coach in a one-on-one setting also tends to be a bit pricier for that type of attention (often around $100 per lesson — more or less). I also have signed my boys up for group or “club” training. These tend to meet once or twice per week for several weeks or months. Since you’ll be sharing an instructor with other players, costs are usually more affordable — I typically see anything from $100 to $300 per month for these clubs. If your team is part of a facility agreement, you may get discounts for this type of training. But these costs will still be significant. Understand that not everyone does this. I appreciate the costs involved, and I don’t expect all of my players to do it. It’s a commitment. If you live in a warm-weather state, it’s possible that your team plays virtually year-around and your team fees cover all of that activity. For the rest of us, the heart of travel ball runs from spring to mid-summer. That means that your son may also be playing fall ball or doing winter training — either with his travel team or separately. These costs can be significant. I’ve seen that fall ball costs can be just as hefty as those for your core summer ball team — running from a few hundred to thousands of dollars. Of course, high school players will also likely be playing for their school teams during the spring. For my sons, this means another $1,000 just for playing. You want to show your support for your son, so you’ll probably buy yourself a hat. Then a “Baseball Mom” shirt. Then a sweatshirt for the cool nights. Grandparents and other relatives start showing up. It snowballs. Oh, and you’re not just going to sit on the bleachers. You need a bleacher seat. Or a reclining chair. Or you may even go out to get one that has an umbrella or shields you from the elements. Better get a nice cooler, too. And how are you going to carry all of this stuff? You need a wagon, of course. Now, let me be very clear about this: As a coach, I do not expect a gift at the end of the season. In fact, I often don’t receive one (and that’s okay!). As a parent, though, I’ve certainly seen that some groups of parents go all out for the coach. This can sneak up on you. Be prepared for it. I’d love to promise you that the potential hidden costs are all listed above. But the truth? There’s undoubtedly more. I’m not trying to scare you with this list of potential hidden costs for travel baseball. And the truth is that what you pay in these hidden costs is very controllable — you could spend anywhere from nothing to thousands of additional dollars. That’s why it’s so important that you know what is included in your team fees, as well as what your team plans and expectations are (level and travel) so that you can start budgeting the costs outside of the core fees. Any other hidden costs you’d include? Let me know in the comments below!